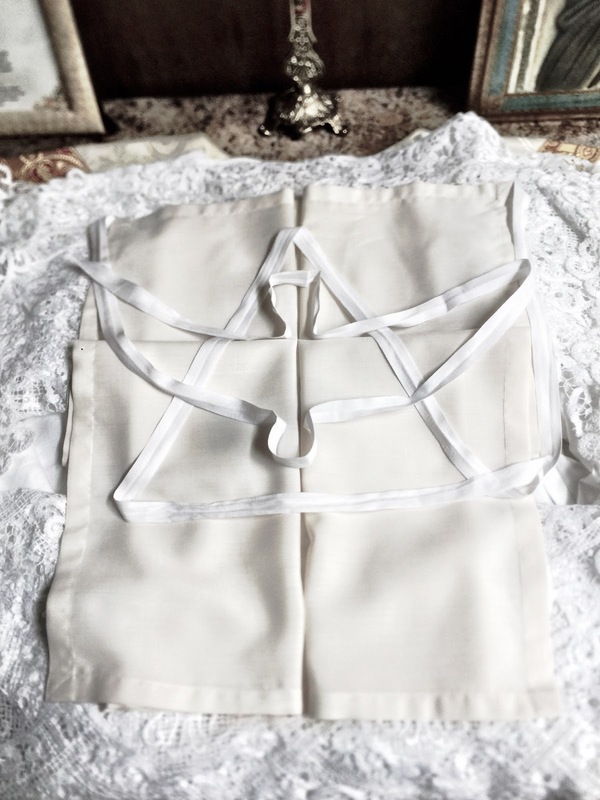 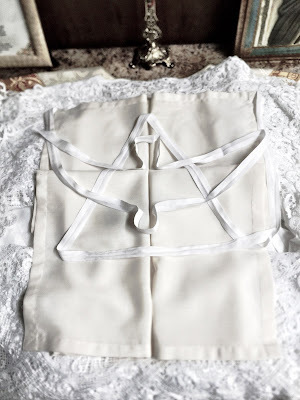 Fr Jeffrey Keyes, who serves as chaplain to the Marian Sisters of Santa Rosa at the Regina Pacis Convent in Santa Rosa, California, sent in these photos of something which their sacristan does each morning when laying out the Mass vestments. 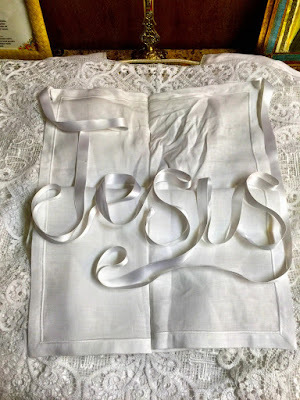 Just a small thing, but as Father writes on his blog, “the essence of the Sacred Liturgy is Sacred, Universal and Beautiful,” and every beautiful thing, however small (and in this case, temporary) contributes to an atmosphere of prayer and reverence. 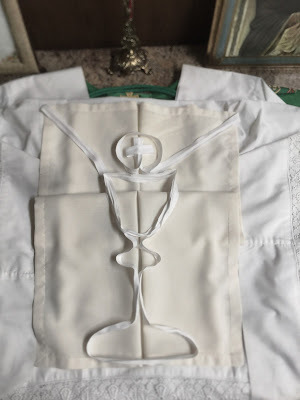 I have seen this done before, but never anything more complicated than a capital M for Mary; this sister is a true artist in her field, and with an authentic Catholic liturgical spirit, makes different designs depending on the liturgical season or feast day.